The Gannaway brothers, Tim and Jim, are known in Warrenton, OR for their jewelry. They are able to turn stones, opals, sapphires, and diamonds into masterpieces. 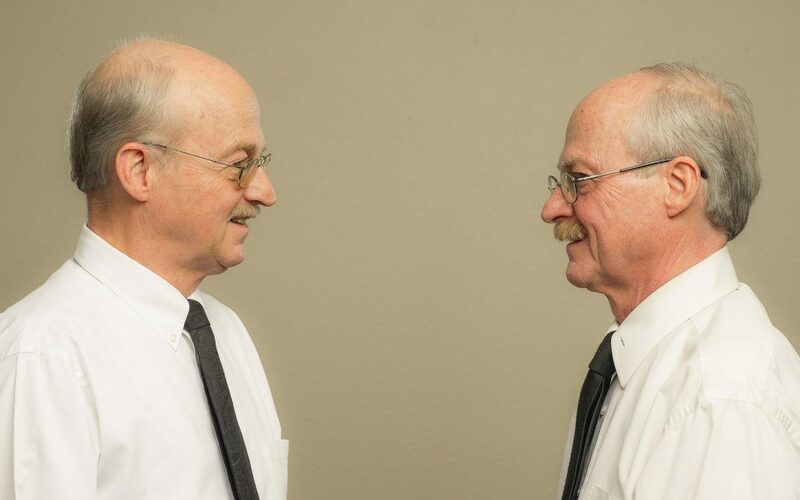 Since 1973, the twins have owned Gannaway Brothers Jewelers. But what some do not know about the brothers is that they are abortion survivors. They were born in April 1951 in a Catholic hospital in St. Paul Minnesota. Their mother Jan almost had an abortion, but soon decided against it. “I never went through with the abortion because I wanted babies,” she said. Afterwards, Tim and Jim were born prematurely, with Tim weighing two pounds and 14 ounces; Jim weighing three pounds. As a result the twins remained in incubators from April 30 – July 6. Jan finally picked them up when Jim made it to five pounds. Growing up was hard for the brothers. As a result of their extended stay– the twins garnered poor eyesight, lung problems, and pneumonia. “I had to feed them 24 hours a day,” Jan said. After high school, Tim still had trouble reading in school, only reading at a “sixth grade level with 20% comprehension,” he said. After 12 years in Catholic school, the brothers went their separate ways, before seeing each other after one year. Jim attended the University of Minnesota and Tim went to Bemidji State College. In college, Tim majored in Chemistry “because it was easier than having to read” he said. After enrolling in a jewelry making course, he developed a passion for the craft. Jim also took on an interest, deciding to form a jewelry business with his brother. After the Capital Scare, they could not afford the expensive equipment. They had to solder, form, and bend every component of each piece of jewelry by hand. Shortly after the 1973 oil embargo hit, they owed over $12,000 to suppliers and had no way to pay it back. Jim found a farming job in Wisconsin and Tim moved to Astoria, OR in response to an ad for a jeweler that his parents, Bob and Jan Gannaway, who was living in Portland, saw in The Oregonian. Jim and his family shortly followed. The brothers worked on shrimp boats to pay back the sums. By 1979 the debt was paid off and the jewelry store was making quite a bit of profit. Today, Jim and Tim not only successfully run their jewelry store, but alongside their mother — continue to be advocates for pro life. Jan believes in alternatives to abortion, while simultaneously being empathetic toward women contemplating abortion. Tim and Jim offered advice for spouses forcing their loved ones to get abortions. Close your eyes and imagine for a second what it feels like to be excluded and isolated because your mind and eyes work differently. That’s how it felt for 5-year-old Carter Braconi, a boy with autism and ADHD. It was his birthday recently and he wanted to go to a skate park with his mother in his home state of New Jersey. What he and his mother were not expecting was to come across a group of teenage skateboarders. After the teenagers arrived, Carter was experiencing too much stimulation and became nervous, until he was befriended by 13-year-old Gavin, a teenage boy a part of the skateboarding group. Initially, Gavin spoke to Carter to give him tips on how to safely roll down the skate ramps without falling. Afterwards, he taught him how to skateboard. The boys connected like long time friends, laughing and chatting away. Learning it was Carter’s birthday, Gavin and his friends sung “happy birthday” and even presented Carter with a mini skateboard for a birthday present. Kristen Braconi, Carter’s mother was very touched by the teenager’s kindness and posted several videos of their interactions to a Autism Facebook group, praising them for their actions. The videos were shared thousands of times until they eventually caught the eye of local news outlets and police officers. The police department gave the teenagers honorary coins as appreciation for their compassion. Braconi plans to arrange a pizza party for the teenagers as a thank you for making her son feel happy and included. “That day made me feel overjoyed to see kind, compassionate, respectful teenagers doing the right thing on their own,” Braconi told People. Plaxedes “Gogo” Dilon always walks miles for her job as a clothing saleswoman. Everyday she wakes up before dawn to travel across Zimbabwe to sell clothes. After hearing about the storm affecting Zimbabwe, Malawi, and Mozambique — she wanted to pursue anything to help those affected. Immediately, Dillon filled a bag with kitchen supplies and clothes (she initially intended to resell) and gave it all to a disaster relief area. 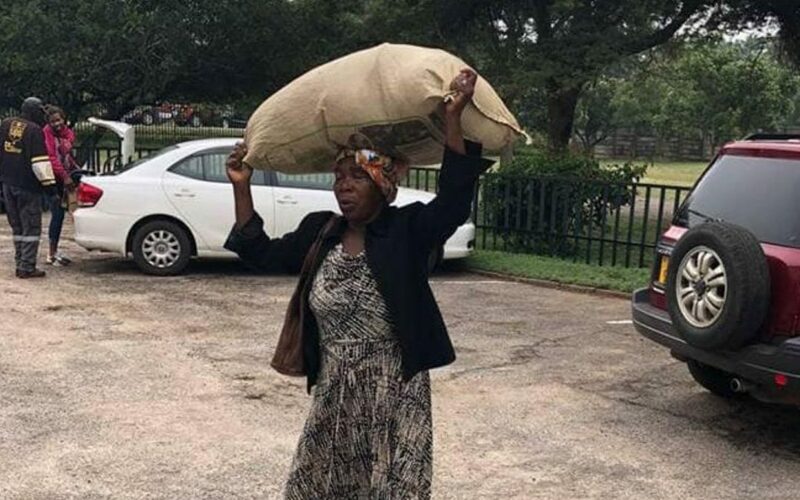 Penniless and unable to afford bus fare, she walked 10 miles to bring the supplies to Highlands Presbyterian Church in Harare. There, numerous volunteers have been assisting in relief efforts for thousands displaced. After Dilon brought the supplies, church members took a photo of Dilon with the bag balanced on her head and posted it to social media. The church stated she was not able to afford bus fare and walked a long way. Once the photo was posted, it caught the attention of Zimbabwean billionaire Strive Masiyiwa, who promised Dilon a home anywhere in Zimbabwe with running water and solar power, as well as $1,000 per month. Masiyiwa’s company is helping those affected by the cyclone and continues to be pleased by Dilon’s generous act. Other countries and relief organizations worldwide have been offering support and aid for the cyclone victims in Zimbabwe, Malawi, and Mozambique, where more than 750 were estimated to have been killed by the cyclone. For the first time in history, the world’s most prestigious mathematics prize is awarded to a woman. Karen Uhlenbeck, Ph.D., 76, a emeritus professor at the University of Texas, Austin and current visitor at the Institute for Advanced Study was honored with the Abel prize, a.k.a, a Nobel prize for mathematics. The Abel comes with a prize of $700,000 and the King of Norway will present the prize to Uhlenbeck in Oslo in May. 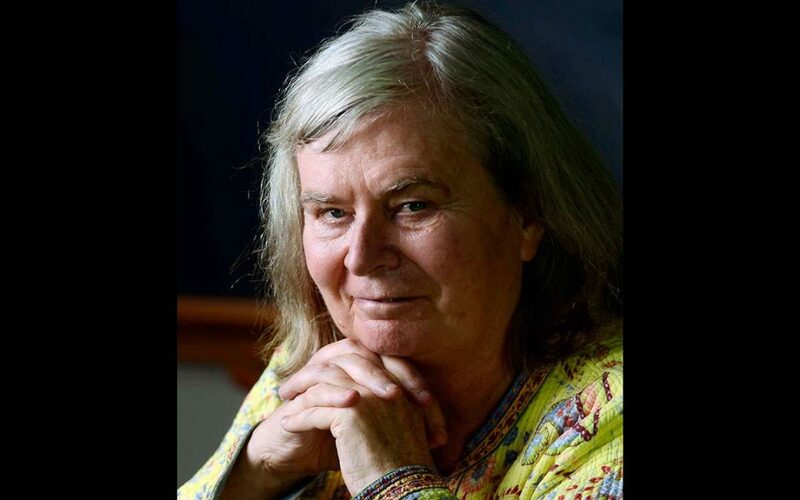 Uhlenbeck was recognized due to her, “pioneering achievements in geometric partial differential equations, gauge theory and integrable systems, and for the fundamental impact of her work on analysis, geometry, and mathematical physics,” according to The New York Times. She found out about her award after leaving her Unitarian Universalist Church, when she received a message from a colleague telling her to keep an eye out for a call from Norway. She checked her missed calls. “I pressed the button and called the Abel committee back, and they told me I’d won — and I had to sit down,” she told Glamour. Another notable scientific contribution was Uhlenbeck’s work with predictive mathematics inspired by soap bubbles. “Her theories have revolutionized our understanding of minimal surfaces, such as those formed by soap bubbles, and more general minimization problems in higher dimensions,” said Hans Munthe-Kaas, the chairman of the Abel Committee. “The recognition of Uhlenbeck’s achievements should have been far greater, for her work has led to some of the most important advances in mathematics in the last 40 years,” said Jim Al-Khalili, Royal Society Fellow. As a child, she loved reading and wanted to become a scientist, but because there were not a significant amount of women before her time in STEM, she looked to other women for inspiration who had pioneered in other fields. The famous Julia Child was a particular role model for her. “She was 6’2″, a big woman with this immense presence,” she says. Uhlenbeck recalls the story of Child dropping a turkey on her television show and carrying on nonetheless. “She had a presence and wasn’t perfect. The feeling was if Julia Child could do it, maybe you could too,” she says. Over the years, Uhlenbeck emulated Child’s style of approachability, gentleness, and the ability to be a role model to many women desiring to enter the STEM field. “Since winning the award, I’ve gotten innumerable emails from women telling me how important my being there is, and it’s a great feeling,” she says. Today, she is a contributing scholar at Princeton University as well as the Institute for Advanced Study. She is one of the founders of the Park City Mathematics Institute, which strives to train younger researchers in their interests and in the challenges faced in mathematics. This recent Nobel prize winner decided to give away $250,000 in prize money. 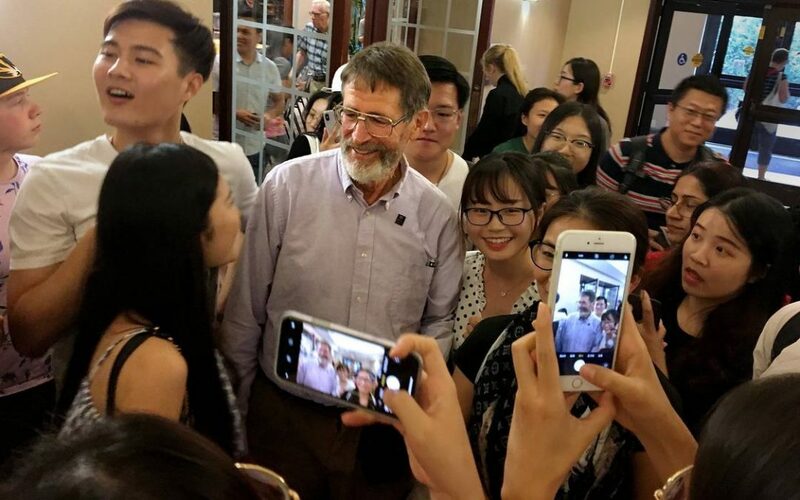 George P. Smith, a emeritus professor of biology, won the 2018 Nobel prize for Chemistry in December. This past week he announced he will donate every cent to launch the Missouri Nobel Scholarship Fund for students in the College of Arts and Sciences. In support of Smith’s kindness, the university will also donate an additional $30,000 to the scholarship fund. MU Chancellor Alexander N. Cartwright also announced a new tradition to set aside $100,000 in scholarships, every time a faculty member wins a Nobel Prize. Smith is the first MU faculty member to win a Nobel prize. At this week’s scholarship launching event, Smith spoke of his Nobel prize win and the award ceremony he attended with his wife in Stockholm, Sweden, in December, and discussed his work in phage display, a process that allows researchers to easily screen and harvest molecules for attacking bacteria. This process is now utilized in laboratories worldwide. According to Kansas City Star, after Smith won one of the most prestigious awards in the world, the University honored him with his own space on a campus bike rack. He lives less than a mile away and rides his bike to work each day. To this day, faculty members still congratulate him for his win.